Squadcast supports SAML 2.0 based Okta Single Sign On (SSO) login and you can set it for your organisation by following this integration guide. 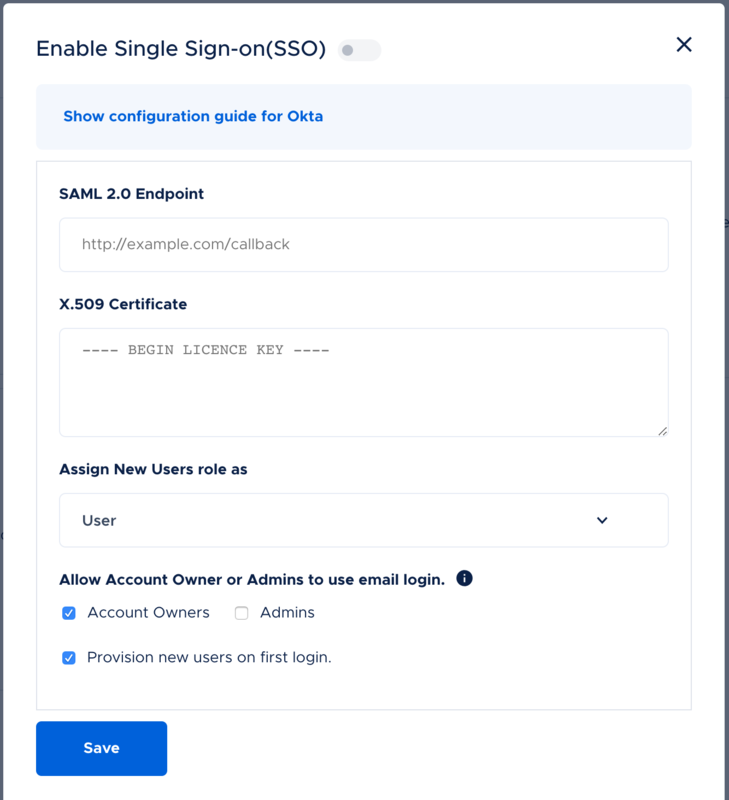 Only an Administrator / Account owner can enable and configure Okta SSO for an organisation in Squadcast. Once enabled, only the Account owner can use email-password based login by default although it can be configured to enable email based login for Administrators as well. Go to the Integrations tab from your Squadcast account sidebar and click on Integrate under Okta card. 3. 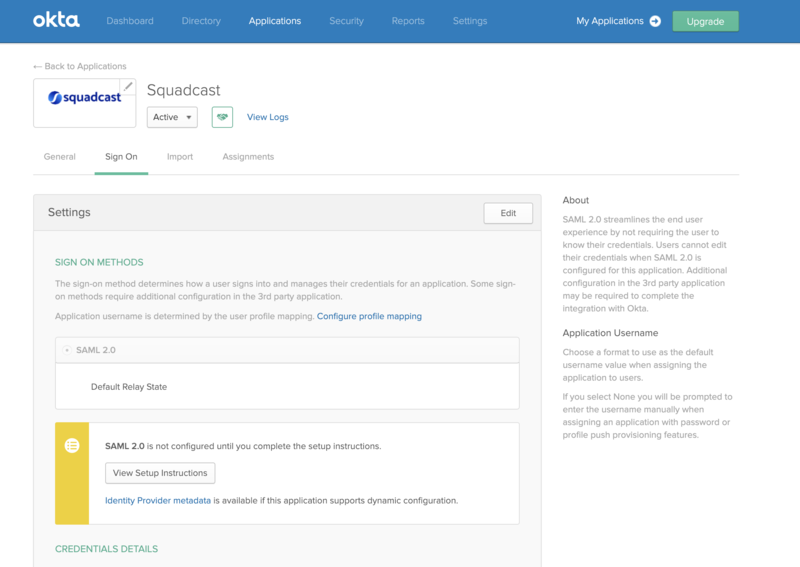 Search for Squadcast application and click Add to add it to your Okta account. 4. Go to the Sign On tab and Edit the settings to input the Customer ID from Step 2 and click Save. 6. 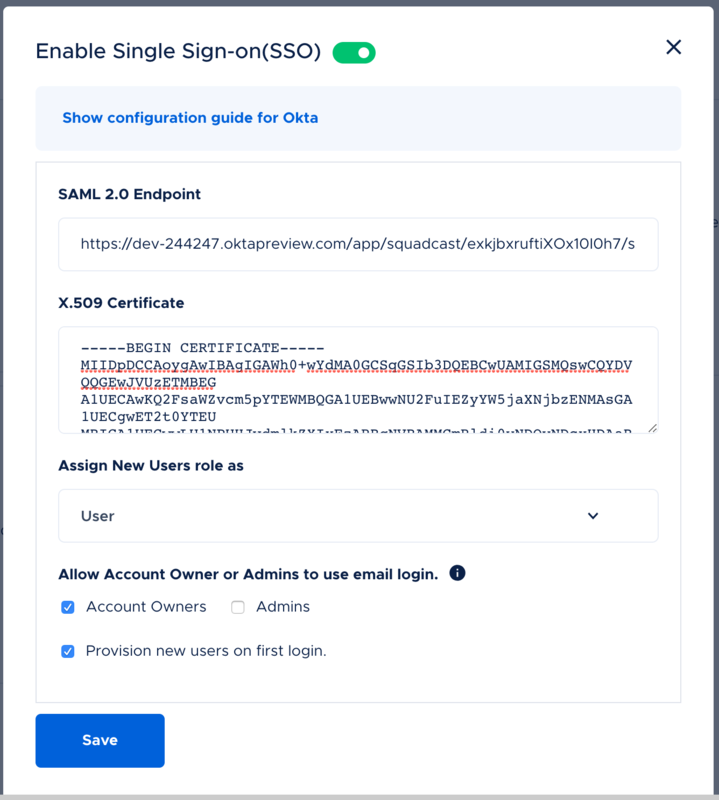 You can turn On / Off Okta SSO by toggling the button at the top and click Save. 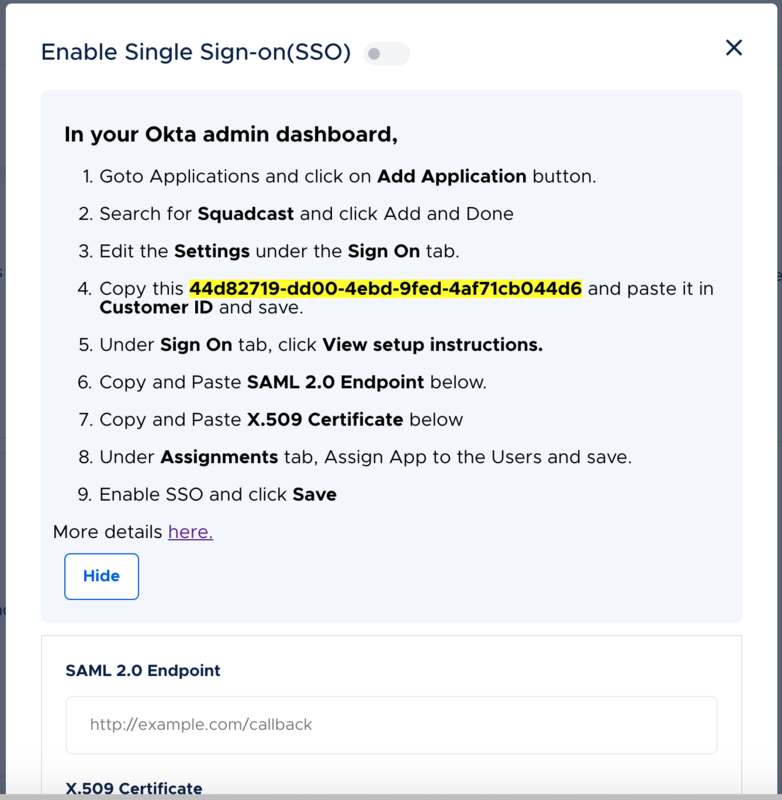 Your Okta SSO Integration is good to go and anyone in your organisation can now use Okta SSO to login into Squadcast.